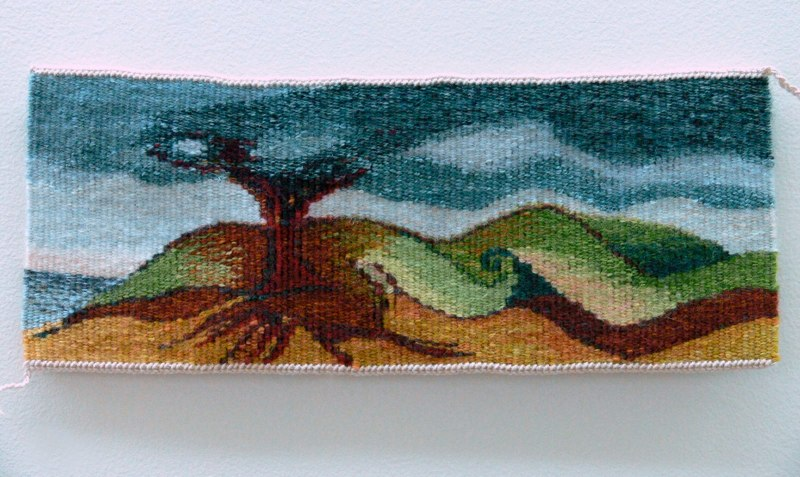 Plant forms and landscapes provide the inspiration for many of my recent tapestries. 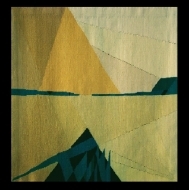 Stylized designs, and a color palette playing with that provided by nature, provide me with the starting point. 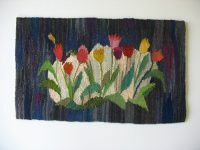 The roadside, and the garden, give me a “visual encyclopedia” from which to develop the imagery on the loom. These three pieces are examples of recent works. 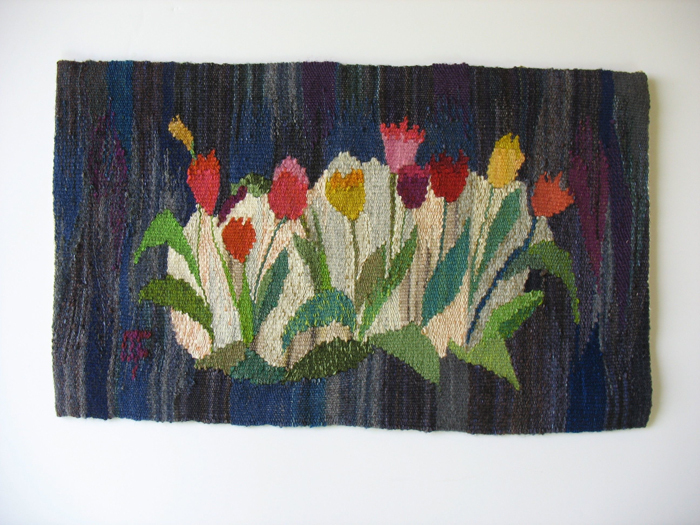 “Midnight Tulips” uses the cheerful blossoms of early spring, framing them with a wide dark border in a blue-grey-purple range. 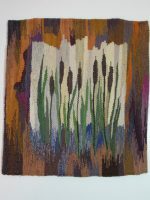 “Cat-tails” has as its central motif a roadside weed, widely distributed in wetlands and the edges of water-bodies across the countryside. 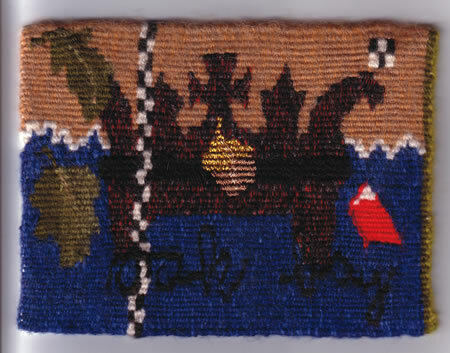 Again, the whole piece has a darker border, in shades of brown and lavender and gold: the photo image shown depicts the center of the panel. “Espalier With Seven Pears” is inspired by the plantings in a walled garden, with a tree trained into a form like a candelabra, against a stone wall. 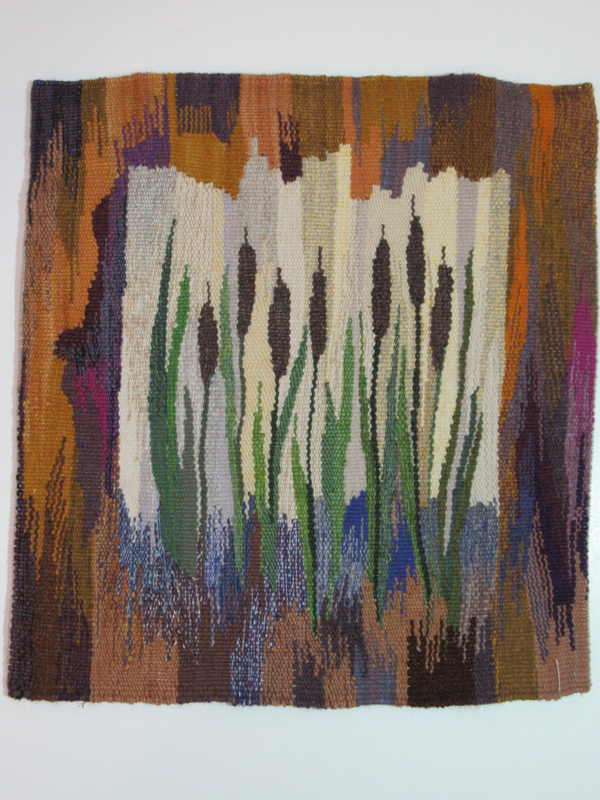 I began weaving about 1970, and was drawn to tapestry a few years later, after meeting the Swedish artist Margareta Grandin Nettles. 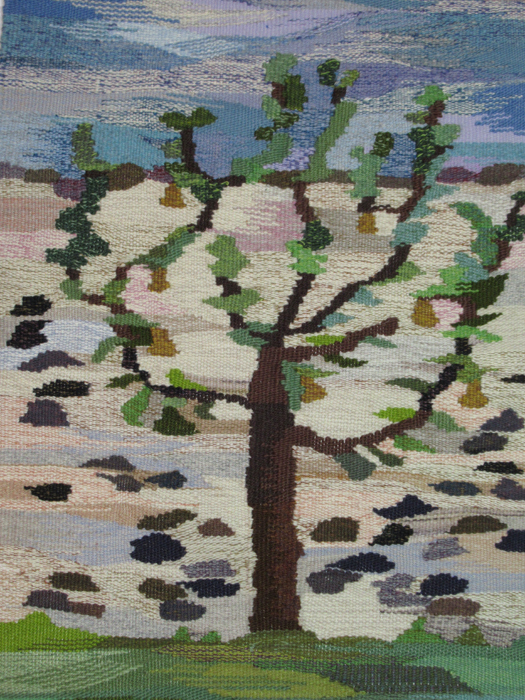 In the decades since that time, my efforts at the loom have resulted in a number of flat-weave rugs, as well as several dozen tapestries and wall hangings, some of them commissioned for public buildings, churches, or private homes. My inspiration continues to be drawn from my natural surroundings. 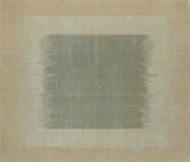 I am actively involved in the arts community in the Hudson Valley of New York State, and I enjoy taking advantage of many opportunities to work and exhibit with other artists working in a variety of media – painters, sculptors, photographers, ceramists, glass artists, woodworkers, among others. 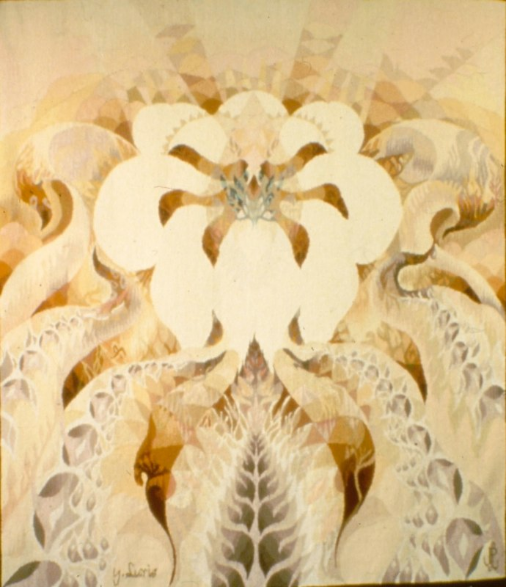 This cross-fertilization adds greatly to the inspiration and enjoyment of exploring a medium that demands periods of time laboring in solitude. I am currently working with a number of others to establish a collaborative textile workshop, in an urban area with a rapidly-growing creative arts social network.